This book explores the perception of modern Greek landscape and poetry in the writings of Seamus Heaney and Derek Mahon. Delving into travel writing, ecocriticism, translation and allusion, it offers a fresh comparative link between Greek modernity and Irish poetry that counterbalances the preeminence of Greek antiquity in existing criticism. 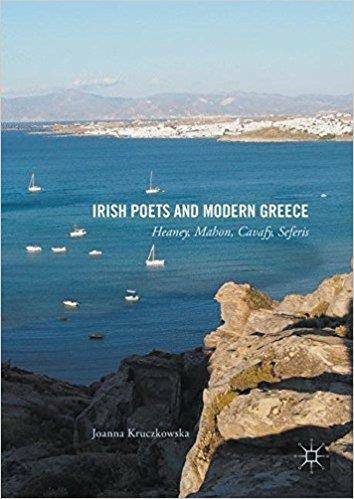 The first section, devoted to travel and landscape, examines Mahon’s modern perception of the Aegean, inspired by his travels to the Cyclades between 1974 and 1997, as well as Heaney’s philhellenic relationship with mainland Greece between 1995 and 2004. The second section offers a close analysis of their C. P. Cavafy translations, and compares George Seferis’ original texts with their creative rendition in the writings of the Irish poets. The book will appeal to readers of poetry as well as those interested in the interactions between Ireland and Greece, two countries at the extreme points of Europe, in times of crisis.